"Do what feels right in your gut. Don't worry too much about five and ten year plans - the world is changing so much and so fast these days that thinking too far ahead can really do you a disservice." Many of our alumni have had a range of varied and interesting careers in their time and NYSF 2005 Alumna, Penny Benjamin is no exception. From working as a chemical engineer at an oil refinery to brewing beer and now as a nutritionist, Penny has certainly travelled down many different career paths. We asked Penny about her career and life since attending the National Youth Science Forum (NYSF). What study/career path have you followed since attending the NYSF in 2005? Haha, what haven't I done? Just kidding. After NYSF and year 12, I moved from my hometown of Brissie to study Chemical Engineering at UNSW on a Co-op Scholarship - a scholarship that combines financial support with practical industrial work experience. I lived on campus and had a ball, making some fabulous friends and reconnecting with many ex-NYSFers. I did all the things you're meant to do at Uni - international exchange, Uni games, college, sport, parties etc. I was then lucky enough to get a graduate job at one of the companies where I did work experience; Shell Oil. I worked for Shell for just over three years, during which time I was transferred from the Clyde Refinery in Sydney to the Geelong Refinery. In 2014 a Little Creatures Brewery opened in Geelong. I'd had experience brewing at Tooheys during my university days and was able to secure a job as a brewer, which was a lot of fun. I've always been interested in health and fitness having played netball for many years, and being a part of my local Surf Lifesaving Club, and then taking up cycling and gym work when I moved to Geelong. So out of interest I undertook study in a Cert IV in Fitness (outside of work) and qualified as a personal trainer! I began training clients outside of work time which became quite rewarding but I found that it was the nutrition that really made the difference in my clients' results and I wanted to know more! So I embarked on a Masters in Nutrition ... and I guess the rest is history! 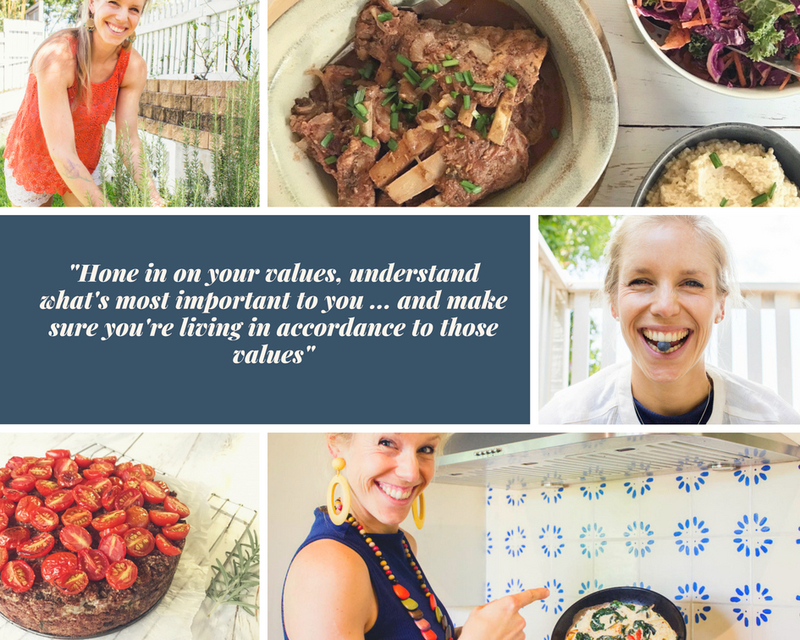 I'm now running my own nutrition business which is focussed on basic nutrition education and applying these basics to your kitchen to easily make healthy meals. I don't think I really chose the path as such... I just went with what felt right at the time. I really liked chemistry and maths at high school so I chose Chemical Engineering. But then I'm a really social person, which is why the job as a brewer suited me a little better. And then it was back to my love of chemistry and wanting to understand how things work, combined with my love of teaching others and interacting with people that motivated me to do a Masters in Nutrition and begin my nutrition business! Is there anything interesting you are doing outside of work i.e. volunteer work, sport? I volunteer a lot with my local netball club - I run the team of coaches that our club has (over 50 coaches). I also help out at my local gym a fair bit. In 2016 I also spent the year travelling around Europe while I was completing my Masters of Nutrition (it was an online course so I figured I may as well do it and travel at the same time)! Any advice you can give to our alumni who are just starting out? Do what feels right in your gut. Don't worry too much about five and ten year plans - the world is changing so much and so fast these days that thinking too far ahead can really do you a disservice. Also, hone in on your values, understand what's most important to you (family/friends/work/integrity/fun/playfulness etc.) and make sure you're living in accordance to those values. Penny is a great example of seizing opportunities that present themselves and doing what you love and are interested in. We can’t wait to see what she does in the next 10 years! To find out more about Penny and her work as a nutritionist visit her WEBSITE.